Attorney General Eric Holder—one of President Barack Obama’s closest advisers—plans to remain in office through November’s midterm elections, a Justice Department official told Reuters. 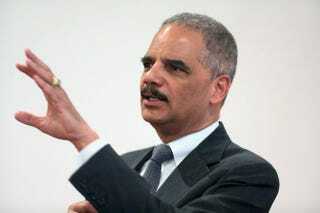 Beyond the elections, the official could not confirm any plans that Holder, 63, might have, the news site reports. Holder has been attorney general since shortly after President Obama took office in 2009. If Republicans gain control of both chambers of Congress in the November elections, it could be a challenge for the president to get a replacement confirmed, the news site says. During Holder's tenure, his policy decisions have matched the president's agenda on an array of issues, including civil rights, voting rights and, most recently, reducing sentencing for low-level drug offenders, the report says.